How many do you have? Variants?Limited editions? Hey all, its me, I'm gonna post pic of my entire ML collection. Soon I'll be gettind ML6 Deadpool, but here's what I got now. Nice, I'm a little bummed I can't locate my Gambit right now, he's probably locked away in storage though. Marvel Legends in my collection I belive the total currently is 6. But I have owned, at one time or another just about all of them from the first 6 series, including just about all the variants. Marvel Legends just weren't my thing. 267 [ ] Beta Ray Bill ' dark tan"
325 [ ] Marvel Girl 'cosmic"
With the lot I received today (6), I've now got a whopping: 9. But I'm working on adding to it, I waited way to long to start collecting these. I had about 20, but those got smashed up and kit bashed into customs, as of now, my only intact ML that I haven't touched is Beta Ray Bill, he just looks too cool to ruin! . 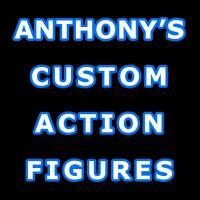 if you count marvel selects, x-men classics, spider-man classics, fantastic four, and customs, or basically the figures that can be used for 6" scale I have about 300. 400 if you count figures I have waiting to be customized. if I quit marvel toys, I could drive a much nicer car.